CMS Administrator Seema Verma today announced CareSet Systems would be the first with access to Medicare C data. Using this dataset, CareSet will be able to compare treatment patterns between Part C and traditional-fee-for-service Medicare, as well as gaining insights into how commercial plans operate, says Data Journalist Fred Trotter, CTO of CareSet Systems. “Using this dataset, CareSet will be able to compare treatment patterns between Part C and traditional-fee-for-service Medicare, as well as gaining insights into how commercial plans operate,” says Data Journalist Fred Trotter, CTO of CareSet Systems. “For the first time, the marketplace will have transparent insight into what healthcare looks like when it is administered by private plans.” CareSet Labs re-releases CMS data as public use files for researchers and commercial organizations as the DocGraph Datasets (https://careset.com/datasets/). 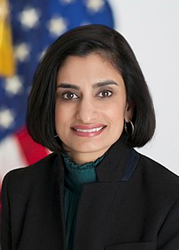 “At Datapalooza, Seema Verma made big commitments to healthcare transparency, and indicated that Open Data was going to be a focus of her term at CMS,” says Trotter. “She made it clear that the CMS administration regards transparency as a critical component of market competition,” Trotter continues. Verma also made it very clear that President Trump wants his administration working to foster competition in healthcare markets, and to ensure that Americans receive better value for their investments in care. CareSet Systems (https://careset.com) is the nation’s first company with access to 100% Medicare Part A, B and D (and now C) claims and enables the nation’s leading pharmaceutical companies to decode Medicare claims data to guide new drug launches. CareSet Labs (https://careset.com/labs) creates open healthcare datasets called the DocGraph Datasets. We believe the release of reliable and current data is vital to the improvement of the healthcare system. Our mission is to encourage an ecosystem of innovators to collaborate and share tools and research methodologies around open healthcare datasets.